Kingdom Hearts III is mere weeks away now, and that means a lot of people are very, very excited. For people who’ve played all eight previous games (that’s right, the game called Kingdom Hearts III is the ninth game in the series), they’ll finally get a conclusion to this grand, 16-year-long, console-spanning saga. For everyone else, just trying to make sense of what’s happened up till now is a monumental challenge. It’s easier than it was a few years ago—collections available for PS4 mean you no longer need seven different consoles to experience the full Kingdom Hearts story—but still, between its multiple protagonists, knotted web of prequels and sequels and midquels, characters who look identical for no apparent reason, and time travel, of all things, it’s a tricky thing to untangle. 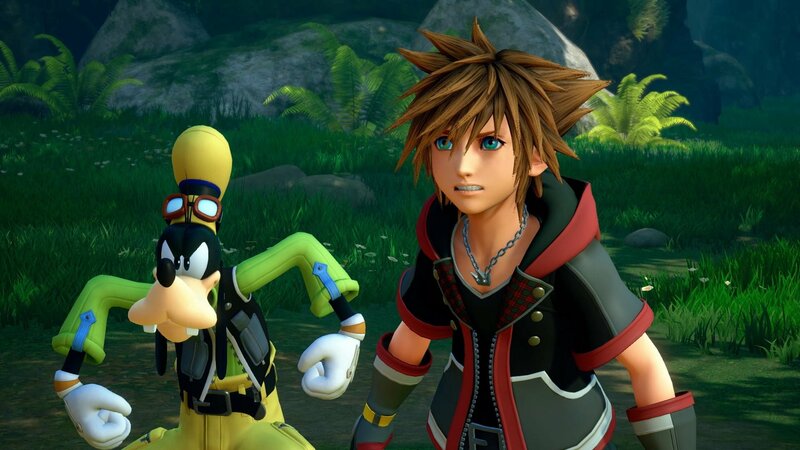 Luckily, we’ve prepared a neat summary of everything that’s transpired so far, so that you can be as prepared as possible going into Kingdom Hearts III. There. That’s the Kingdom Hearts story, explained. It’s all nonsense, and trying to make sense of it is a losing proposition. Nobody who’s played it knows what’s going on. Not even the people who write it know what the deal is. Accept that, and you’ve finally found the secret to understanding Kingdom Hearts: stop trying to understand it. It’s a game in which you play as a boy who inexplicably wields a giant key that is also a sword, and who is inexplicably accompanied by Disney characters. With that comes a tight action JRPG, usually with some sort of bananas new systems (Kingdom Hearts III has special attacks that literally turn your weapon into a theme park ride to hurt your enemies), some light platforming, and plenty of secrets and collectibles to uncover. With that comes fanciful, fever-dream renditions of famous Disney worlds to explore; in Kingdom Hearts III, that includes the Kingdom of Corona from Tangled, which is the best thing Disney’s done since abandoning 2D animation and I’ll hear nothing to the contrary. Stop trying to make sense of the senseless, and just enjoy Kingdom Hearts for the absurdity and absurdly captivating game that it is. That’s what I’ll be doing come Kingdom Hearts III.